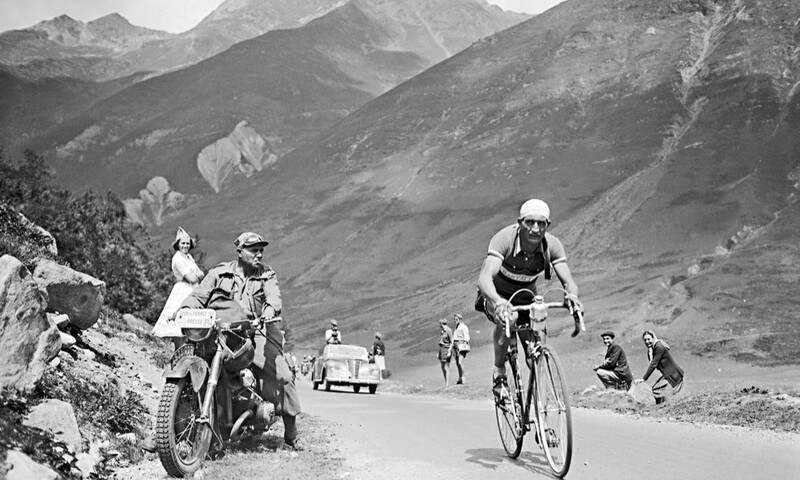 Italian Gino Bartali is one of the all-time greatest road cyclists. If it hadn’t been for the Second World War and the obvious halt to grand tours among enemy nations, he might have won more Tours de France than anyone. After all, when war broke out, Bartali had already won the Tour once and the Giro d’Italia twice. But what Bartali did during the war was far more righteous and laudable than racing a bike: He saved lives. Hundreds of them. And he kept his secret until the day he died. Bartali was conscripted into the army, as was his rival Fausto Coppi, but instead was assigned to work for the traffic police. But because Bartali was a national hero (think of American movie stars of the day who were often given a pass from front line duty), he was permitted to go on training rides, a huge gift in a fascist state. Though also one borne of perverse pride. Mussolini felt an Italian sports champion included his country in the ‘master race.’ When Bartali won the 1938 Tour, he was asked to dedicate the win to Mussolini. He refused, a dangerous slap in the fascist’s face. Thing was, throughout his wartime training rides, Bartali wasn’t just getting a workout. He was smuggling documents and cash to groups of nuns who were harboring Jews facing deportation to concentration camps. He also delivered messages to the Italian resistance. Bartali would ride huge distances, sometimes more 200 miles in a day, all to carry forged passports, fake IDs, and money in his bike’s seat tube and under his jersey—which bore his name, so there was no hiding. He even sheltered Jews in his basement, risking his own family’s life. After the war, he told his son Andrew about his actions, but made him swear not to blurt about it to the press. Unlike his archrival Coppi, Bartali came from rural roots in the south of Italy and was reserved and conservative. It was only a few years ago that a university history project first revealed the details of Bartali’s bravery. Research with the support of the Jewish community in Tuscany and exposure by the journalist Laura Guerra has led to enough testimony to honor Bartali a few years ago in Israel at the Yad Vashem Memorial in Jerusalem. A tree was planted in his honor and he was given the distinction of “Righteous Among the Nations,” awarded to those who placed their lives in danger to save Jews during WWII. After that war, Bartali continue to rack up wins. He nabbed another Tour and another Giro, even winning three consecutive mountain stages in the 1948 Tour—a feat that has yet to be surpassed. It wasn’t even until the 1999 TdF that someone was able to grab three stages in a row, period, let alone mountain stages (that man was Mario Cipollini, who took four in a row on the flats). Why isn’t his statement, more well known. “Good is something you do, not something you talk about. Some medals are pinned to your soul not your jacket.” Brought tears to my eyes. Bellissimo. Wow,now that’s inspiring ,what an awesome Man indeed….I am amazed at the courage and determination that he possessed. One of many stories of courage during times of war!